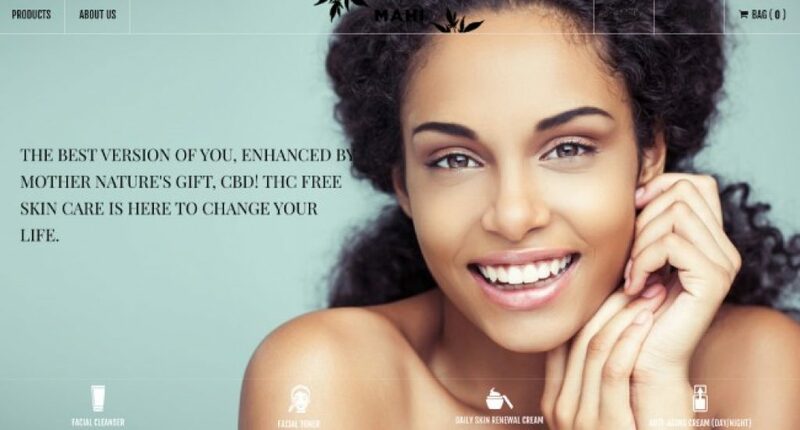 Mahi Skin, a California-based skin care products manufacturer, has today announced the launch of its revolutionary CBD-based skin care product line that helps treat all types of skin problems on the face for both, men and women. Mahi Skin product line includes CBD cleanser, toner, daily renewal cream, an anti-ageing cream. CBD (Cannabidiol) is a type of Cannabinoid, a chemical compound that acts on cannabinoid receptors in cells located throughout your skin. Use of CBD helps to connect with those receptors, allowing your skin to heal rapidly by encouraging homeostasis. Also, CBD helps adjust the natural oil production that makes it an effective treatment for acne. What problems does Mahi Skin solve? Mahi skin care products help hydrate and balance your skin, reduce wrinkles, redness, and acne, and heal and protect the skin. The consistent use of Mahi products helps to smoothen and even the skin tone and promote anti-ageing. Sunandini Verma (me) founder of Mahi Skin, which is a skincare line, enhanced by mother earth her self. I own a marketing agency as well called Amrev Media. I am deeply passionate about skin care and the effect it has on one’s self-esteem. Discovering cbd has been really beneficial for my own skin as well as loved ones. Decided to create my own line that is simple and easy to use with the highest benefits. I took time to understand the pain points people have, which is, too many steps, too expensive, gender-specific, only serve one purpose-anti ageing OR acne. Created a solution that serves all and combines all your needs into one. I am deeply passionate about making people feel like the best version of themselves. Skin is confidence and I hope to help evolve the lives of people in different ways.